Asia picks crude from Alaska to Iraq as shale captures U.S.
Asia is getting a greater choice of crude from Alaska North Slope to Venezuela's Carabobo and Iraqi Basrah Light as the U.S. shale boom cuts American demand for overseas oil. Crude from around the world is competing for buyers in Asia, says the Paris-based International Energy Agency. South Korea is taking the first Alaskan export cargo since 2004, Japanese traders are purchasing U.S. shipments of ultra-light oil from the Gulf of Mexico and India is buying more Latin American output. "There is more oil looking for a market and that market is Asia," Antoine Halff, head of the IEA's oil industry and markets division, said yesterday at the Asia Pacific Petroleum Conference in Singapore. "We are going to see more competition for Asian market share. Cargoes from the U.S., Venezuela and Russia, in addition to those from the region's traditional Persian Gulf suppliers, are on the agenda. Buyers are looking for alternative sources of supply as fighting and protests in Libya and the militant Islamic State onslaught in Iraq raise concern about output disruptions in those OPEC producers. The U.S. imported 7.62 million barrels of crude a day in July, down 29 percent from the peak in June 2005, according to data from the U.S. Energy Information Administration. European demand also is down as refineries are shutting or converting to storage depots at the fastest pace since the 1980s after demand for oil products dropped for seven years and competition intensified. Asian refiners are interested in processing Canadian crude, Richard Masson, chief executive officer of the Alberta Petroleum Marketing Commission, said yesterday. "I've talked to Indian Oil today and they have a new refinery starting up to be able to process heavy crude," he said. Alberta is also in discussions with Chinese companies and is meeting Korean officials today. "All the companies in Asia I would say are quite aware of the Canadian opportunities," he said at the conference. ConocoPhillips is shipping a cargo of Alaska North Slope oil to Asia in the fourth quarter. The Polar Discovery, a 140,000-deadweight ton oil tanker, left the oil port of Valdez, Alaska, on Sept. 26 for Yeosu, South Korea, vessel-tracking data compiled by Bloomberg show. 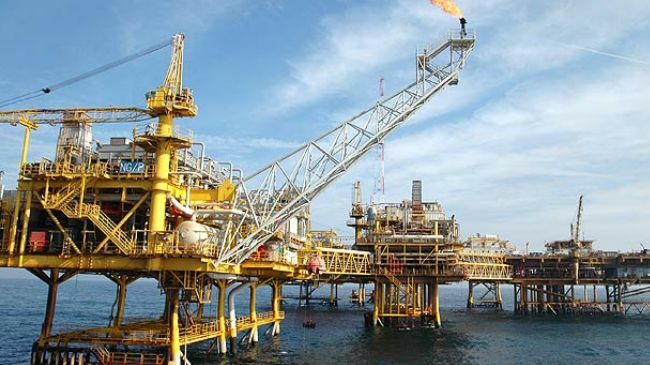 India's Reliance Industries Ltd. will receive a second 1.2 million-barrel cargo of Carabobo crude from Venezuela this year, according to an official at ONGC Videsh Ltd., one of the partners developing the Latin American field. Growth in Latin American imports to China outpaced the expansion of purchases from the Middle East crude in the first eight months of the year, according to data from the country's customs bureau. China bought 8.7 percent more Middle Eastern crude this year than in 2013, compared with a 20 percent increase in oil from South America. Middle Eastern producers are seeking to bolster their share of the market. Saudi Arabia, which has the greatest output in the Organization of Petroleum Exporting Countries, may be cutting the differentials it uses to price monthly oil deliveries to Asia in a bid to attract buyers, the IEA's Halff said. The company, known as Aramco, dropped differentials for Arab Light deliveries to Asia by $1 a barrel to minus $1.05 for November, the lowest since December 2008. "This is a sign that producers are more concerned about capturing share in the Asian market," Robert Campbell, head oil products research at analyst Energy Aspects, said at the conference in Singapore. "There's clearly more competition in the East of Suez market."